A Benefit Hamburger or Hot-dog chips and drink benefit dinner has been planned for Neva Fitzpatrick for Feb 15, 2019 at the Community State Bank. 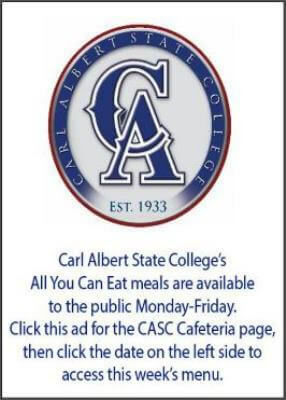 Come enjoy lunch from 11am until 1pm. 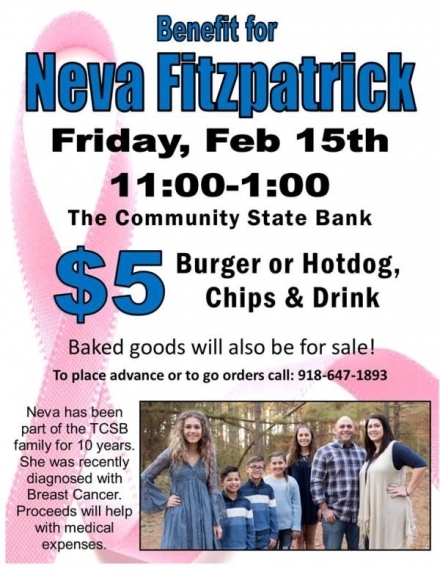 Neva has worked at The Community State Bank for 10 years and has recently been diagnosed with Breast Cancer. Proceeds from the benefit will help with medical expenses. Advance or to go orders should be placed in advance by calling 918-647-1893.